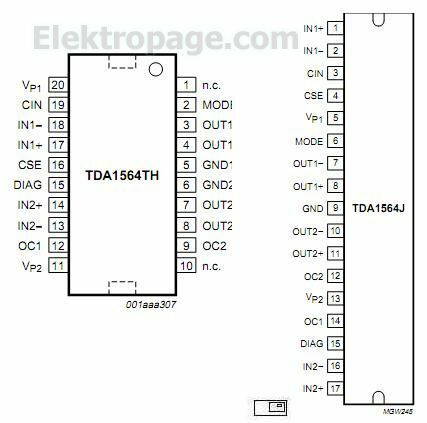 The TDA1564 is a monolithic power amplifier in a 17-lead single-in-line (SIL) plastic power package. It contains two identical 25 W amplifiers. The dissipation is minimized by switching fromSE to BTLmode, only when a higher output voltage swing is needed. The device is primarily developed for car radio applications.